The origins of Bodegas Gómez Cruzado date back to 1886, when Ángel Gómez de Arteche, a nobleman related to the Duke of Moctezuma de Tultengo, decided to start making and bottling his own wine in Haro, in the heart of Rioja Alta. Thus, a century-old cellar was born which would go on to make history in Haro and Rioja during the late 19th century. Gómez Cruzado wines begin in a traditional landscape: small vines of old bush-trained vineyards in the most elevated areas of Rioja Alta and Alavesa, where great wines strongly rooted in their terroir can be created. Such heritage originates in their ancestors’ practices of sustainable and thoughtful winemaking. 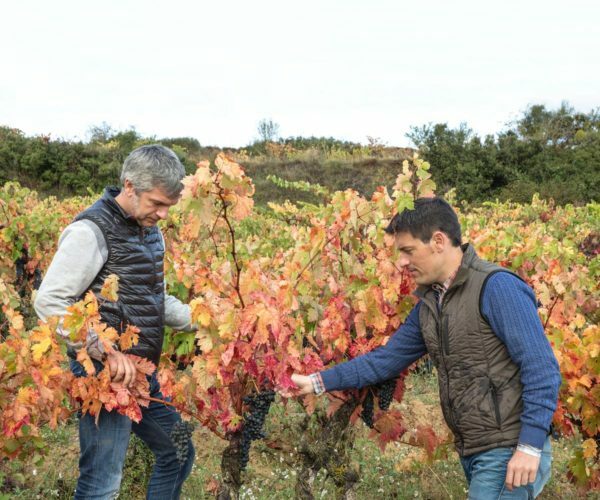 The Gómez Cruzado vineyard houses a mix of almost a hundred different supervised plots across three well-defined regions. Grapes grow in three very different terroirs: Alto Najerilla, Bajo Najerilla and Sierra Cantabria. Together these terroirs fit together like puzzle pieces to create their wines’ personalities. Three microclimates and three soil types portray the nuanced wealth which Rioja boasts.